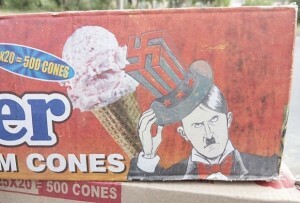 In India they have Hitler ice cream. The business professor looked to the side sardonically. The business professor stood for a moment silently, dumbstruck. He did not know what to say. This entry was posted in Info, Links, Writing. Bookmark the permalink.